Saturated vibrant colors, smells of spices everywhere, the loud hustle and bustle of tourists and Marrakshis interacting all day in the infamous Marrakech souk. As the busiest square in North Africa, its easy to say that Djemma El Fna can be equally intoxicating and overwhelming to the senses. It is the hub of life of the Medina and you can all walks of life drinking the freshest orange juice I’ve ever had; eating ice cream from the terraces as they snap pictures of Koutoubia mosque; taking pictures with snake charmers or Atlas monkeys; getting henna tattoos with glitter; arguing over the price of a handmade goods you want to buy. 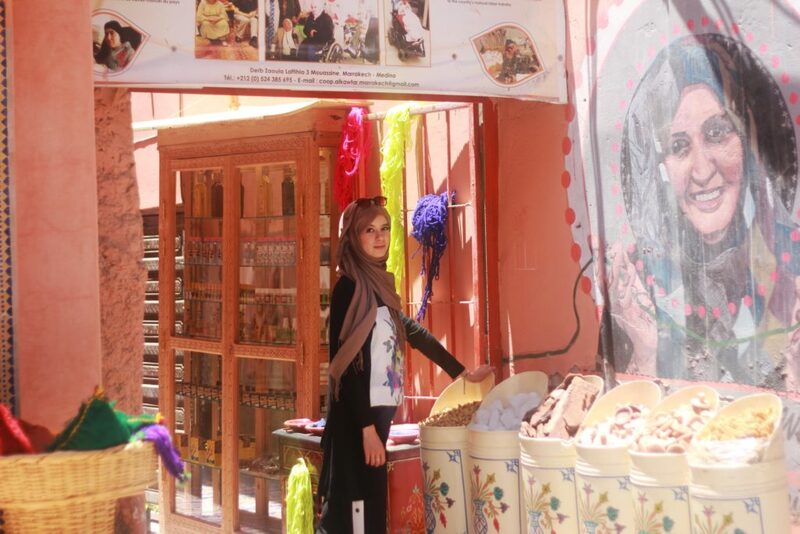 As you enter into the souk and start to explore the small winding streets full of bags, shoes, carpets, spices, ceramics, lamps, jewelry, you name, if it’s your first time there it can be quite normal to feel like it’s too much to take in. 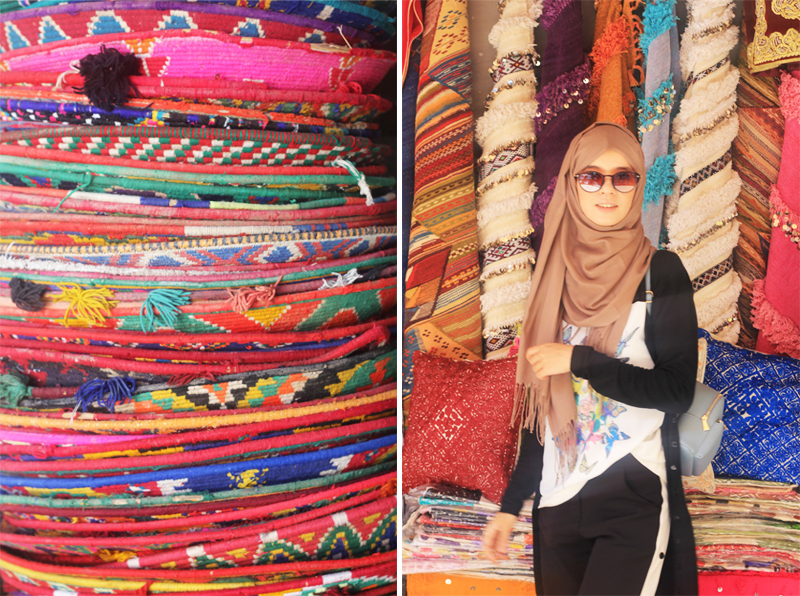 For me, wandering (and of course shopping) in the Marrakech souk is one of my favorite things to do in Marrakech. You can get lost there for hours walking around and looking at all the beautiful handmade things they offer. For some that’s incredibly exciting but for others it’s so stressful. That’s why I’m made a list of a few tips to keep in mind as you make your way through the Marrakech souk to make the most of your time there and hopefully feel less overwhelming for some. 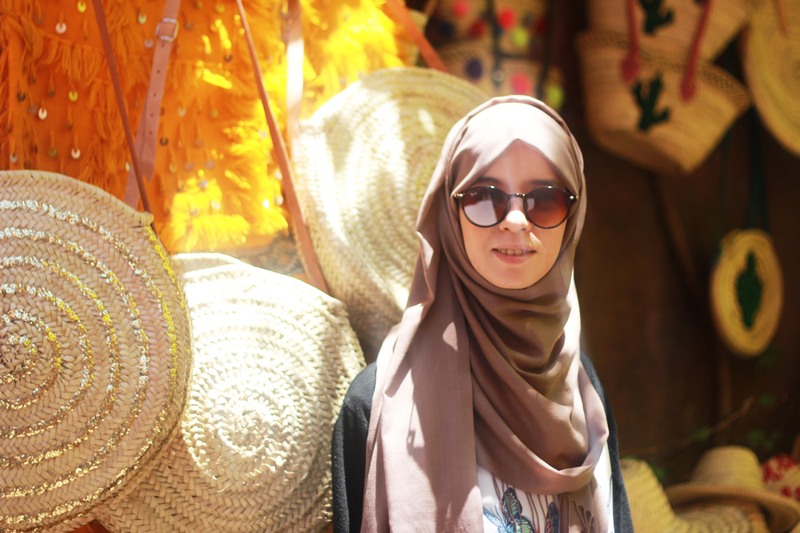 The souk can feel unpredictable and easy to get lost in so I suggest you make a plan for how much of the souk you want to see. The souk is very large as it expands through all of the old Medina so you can divide you visit into small trips to break it up. If you’re someone who isn’t great at following unmarked directions, you should take a picture of your starting point into the souk and then possibly a few shops with their number markers as you walk around. That way if you end up getting lost, you can show someone those pictures to a store owner and they can point you on the right path. Also, you can focus your visit on visiting a specific attraction in the Medina (like the tanneries or Madrasa Ben Youseff) and visit the shops on the way there and walk back to your hotel/riad the same way so you can become familiar with the roads. On a shopping note, while you can see a little bit of everything mixed in next to each other, the souk is actually divided into areas where you can find multiple vendors selling the same type of products. For example, there is an area very well known as the “spice souk” where you’ll find restaurants like NoMad or Café de Epics. There you’ll find tons of vendors selling beautifully set up pyramids of different colored spices. Generally, the products of the souk are made my craftsmen or artisans and so they tend to be in the same places so the more fine leather goods, the closer you probably are to the tanneries. The more lamps and mirrors you see, the closer you are to the metalworkers and goldsmiths. Just because you were given a price for something you fall in love with at first sight, doesn’t mean you have to buy it on the spot. Quite often you’ll see the same gorgeous items with slight or no differences around many shops throughout the souk. If you have the opportunity to break up your souk shopping, I recommend you do one “dry run” where you look and make a list of all the things you would like to buy and go to different shops and ask for their price for the same item. Everyone will have different prices but you’ll be able to find a general price range that you can assume is inflated but that you can then estimate what the “base selling price” is and determine you’re willing to spend close to. Then after having your shopping list and your prices to compare, you can then go back to the souk and haggle for the price and item you’re dying to have. The souk is the home of bartering and haggling. Unless you see a sign that says “Fixed price store”, everything is meant to be haggled. As a foreigner, most of the time the beginning price is inflated to over 50%, that means you can go counter pretty low since you’ll end up somewhere in the middle. When I was learning how to haggle (since I never had before living in Morocco), the best advice I was given was, “Counter their price with something so low, it insults the shop owner, then be prepared to walk away if they say no.” More times than not, you’ll find those shop owners will be calling you back into their shop to complete the sale. 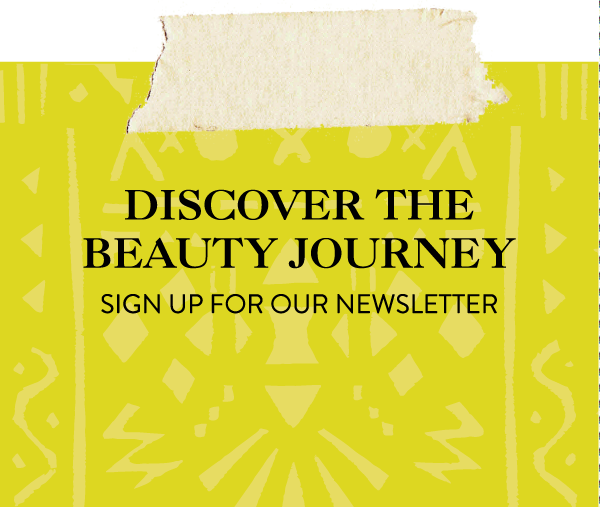 If your traveling alone or have a small group we highly suggest reaching out two these two local #BeautyTravelers that can shop with you and show a different side of the medina. I loved roaming the streets with these two ladies learning about the market, and getting an insider look at the raw ingredients offered in the stalls. DM on their social and let them know you’re a #BeautyTraveler. 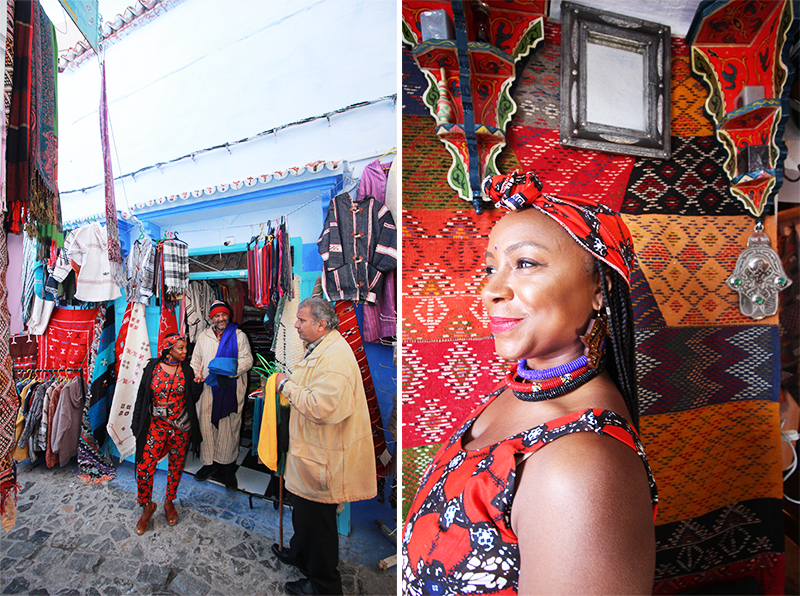 @VisionaryErin and @Lil_siis_BenI hope these tips will help you as you navigate the Marrakech souk whether it’s your first time or 10th. The old medina and the souks are so quintessential to daily life in Marrakech and its hustle and bustle are a unique part of the city’s identity. I can spend days at a time just walking around and building my dream home and wardrobe when I lived on the edge of the old Medina. 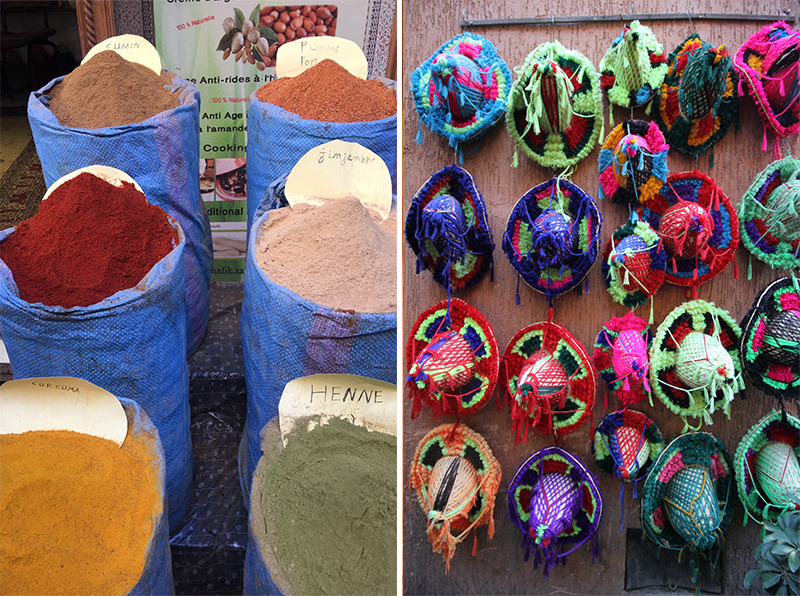 If you have seen photos of the Marrakech souk and are dying to explore and shop yourself, you should consider joining me when I go back to Marrakech as part of our Morocco Beauty Tours in April through May 2019! Having a home full of Moroccan goods myself, I’d love to help give you advice and on the spot tips when we take a few strolls in the old medina! What I love about @Lil_siis_BenI is shes a real women, from the Marrakesh that truly loves her city. Kenicha ( @Passporttobeauty) Haggling in the medina of Chef!